John C. Sirmons, a native of Berrien County, GA, served as a school teacher, principal, county superintendent, college professor, dean, and president. He culminated his career with two decades of tenure at North Georgia College, Dahlonega, GA.
John C. Sirmons was born November 30, 1883 in Berrien County, GA. He was a son of Moses G & Nancy E Knight, grand son of George W & Rhoda Futch Knight, great grandson of Aaron & Nancy Ann Sloan Knight, and great great grandson of William A & Sarah Cone Knight. d. 13 Aug 1953). He was a nephew of Perry Thomas Knight, and a brother of Thomas Jefferson Sirmons who would perish in the sinking of the H.M.S. Otranto in World War One. Image detail believed to be John C. Sirmons, about 13 years old, circa 1897. The M.G. Sirmons place was about eight miles east of Nashville, GA. His father owned a farm of 260 acres on Land Lots 241 and 242 in the 10th Land District of Berrien County. In 1900, sixteen-year-old John C. Sirmans was enumerated in his parent’s household in the 1148 Georgia Militia District of Berrien County. After high school John C. Sirmons attended Sparks Collegiate Institute at Sparks, GA, about 12 miles west of Ray City. He took up teaching as his occupation and was also ordained as a minister. In 1906 John Sirmons attended the combined Teacher’s Institute held in Tifton, GA for the public school teachers of Tift and Berrien counties. Other teachers attending from Berrien included J. S. Kirton, A. B. Conger, Miss Bertha McKinney, Miss Mary Ellington, John Smith, M. L. Webb, W.M. Tyson, Miss Mamie Shaw, Miss Della Shaw, Aaron Sirmons, Wm. Rhodes, T. W. Price, J. S. Parr, N. E. Patterson, E. C. Patterson, J. D. Overstreet, Mrs. J. D. Overstreet, Dan McPhaul, Miss Carrie McCranie, Mark McCranie and Miss Fannie Norris. By 1908 Reverend John Chester Sirmons returned to his alma mater in Sparks where he joined the faculty of Sparks Collegiate Institute. There he taught in the Grammar School Department. After a short stint at the Sparks Institute, John decided he needed more education if he was going to pursue a career in higher education. In 1909 he enrolled in Emory College to pursue a bachelors degree. 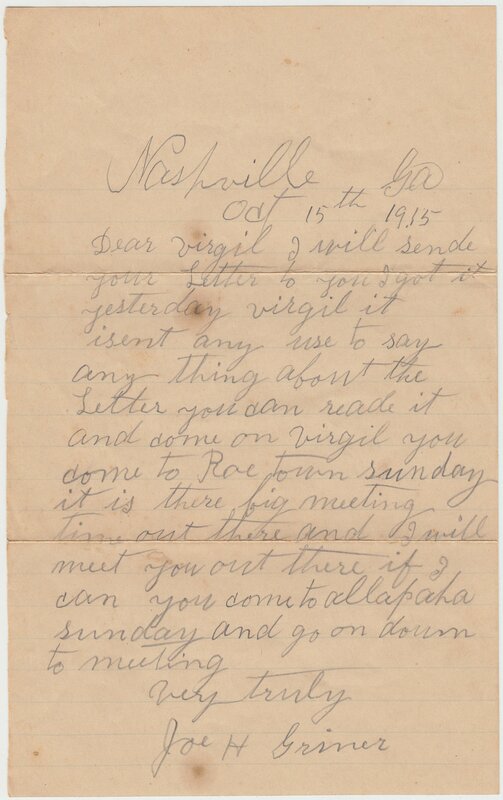 There, he was accompanied by fellow Nashville, GA resident John Dixon Smith. 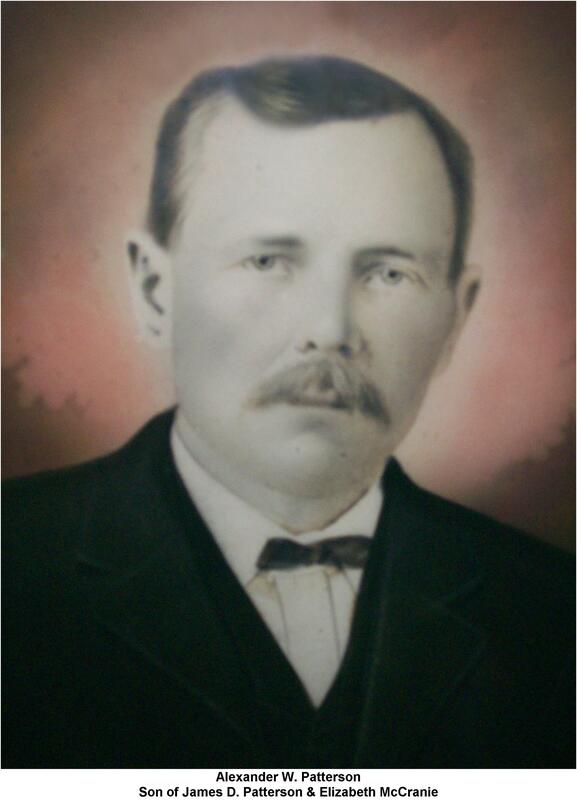 Smith was born near Ray City, a son of Mary Jane Whitehurst and John Woodard Smith. At the end of the freshman year John C. Sirmons returned to Berrien County for the summer; John Sirmans, age 26, was there on April 25,1910 on his father’s farm when enumerated for the 1910 census. He gave his occupation as School Teacher. John continued his studies at Emory and in 1912 he was awarded the Bachelor of Philosophy degree with a major in English. John C. Sirmans senior photo, Emory University, Class of 1912. John C. Sirmons, Jr., PH.B. Member of Few Literary Society; Ministerial Association; President of Emory Student Volunteer Band; Special Gym, ’10, ’11; Memorial Day Orator for Few, ’11; Fall-Term Debater, ’09; Impromptu Debater, ’11; Second Vice President of Y.M.C.A. ; Speaker Senior Banquet; Track Team, ’11, All-Emory Track Team, ’11. It is hard to explain “Cy” Sirmons’ popularity on any other ground except “all the world loves a lover.” Soon after “Cy” entered in ’09 the boys found out that his heart was in the keeping of a damsel fair. For if asked, and if not asked, he would tell all about her and how she looked when he asked her. When Dr. Walker Lewis took up a collection for LaGrange “Cy” made the largest contribution of any student declaring that he expected to get the best returns on that investment of any that he had ever made. For John C. Sirmons, the 1912 Emory University yearbook noted “Coming events cast their shadow before them. The expected announcement came July 21, 1912. The July 21, 1912 Atlanta Constitution announced the engagement of Sarah Estella Moore to John C. Sirmons, of Nashville, GA.
Mr. and Mrs. George W. Moore, of Sparks, Ga., announce the engagement of their daughter, Sarah Estella, to Mr. John C. Sirmons, of Nashville, Ga., the wedding to take place August 20. 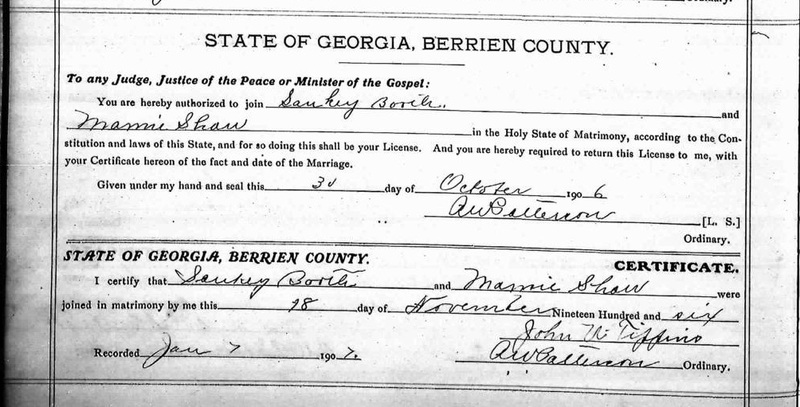 John C. Sirmons married Sarah Estelle Moore in Berrien County, GA on August 20, 1912. She was a graduate of Lagrange College, Class of 1911, with a Bachelors degree in Expression. 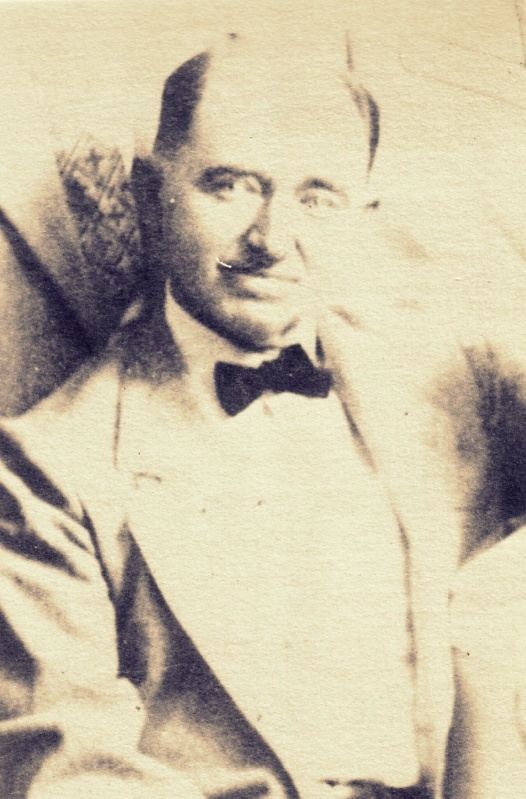 In the latter part of 1912, John C. Sirmans was involved in the production of the south Georgia Methodist conference at Waycross, GA.
Around early 1913, John and Estella moved from Georgia to Cherokee, San Saba County, Texas. John took a position as principal of the preparatory program at Cherokee Junior College. Their first child, Mary Helen Sirmons was born in San Saba County on July 1, 1913. CHEROKEE JUNIOR COLLEGE. Cherokee Junior College, in Cherokee, San Saba County, was operated by the Llano, and later by the Lampasas District conference of the Methodist Episcopal Church, South. The college was housed in a building that had originally belonged to West Texas Normal and Business College. The Llano District conference bought the building from Francis Marion Behrns on April 4, 1911, for $20,000. C. A. Lehmberg served as the first president of Cherokee Junior College. After only a year or two at Cherokee Junior College, John accepted the position of President of Pierce Collegiate Institute, Blackshear, Georgia. According to the text Pierce County, GA, Pierce Collegiate Institute was a military academy, formerly known as the Presbyterial Institute, which was acquired by the Waycross District Methodist Conference about 1913. The institute’s male students who participated in the program of military instruction were known as the Georgia Cadets, but the institution was also co-educational. The campus consisted of the main building, Williams Hall and Gordon Hall. There was a dining hall and a girl’s dormitory. President Sirmons, of Pierce Collegiate Institute, was invited to address the graduates of Sparks Collegiate Institute during the commencement ceremonies held there on Tuesday, March 23, 1916. An interesting event at the commencement was the wedding of Miss Clifford Hendry to Reverend J. J. Ansley, pastor of the Methodist church at Nashville, GA. The bride was matron of the girls dormitory, which served as the setting for the wedding. Officially, Sirmons continued to served as president of Pierce Collegiate Institute through December 5, 1916. In September 1916, he relocated to Atlanta and joined the faculty of Tech High School. This school was on Marietta Street from 1909 to 1924. Tech High offered a college preparatory curriculum that also included training in technical subjects. His teacher salary that year was $1350.00. While teaching in Atlanta, John Sirmons suffered the indignity of having his car stolen. The car was recovered by Atlanta police and in attempting to claim his property, John encountered some difficulty which sparked an investigation into municipal graft. Professor John C. Sirmons visited Cherokee, TX in June, 1917 regarding the presidency of Cherokee Junior College, reported The San Saba Star. Prof. J. C. Sirmons came in Wednesday from Georgia to see about accepting a position as president of the college, as Rev. McDonald had resigned. Prof. Sirmons was formerly a principal of the C.J.C. and has many warm friends here who welcome him back. While we are glad Prof. Sirmons is with us again, we sincerely regret that Rev. McDonald must leave us,for it is largely by his untiring efforts that the school has become what it is. He has succeeded in raising the standard of the college, adding on the Freshman course in a University. But his influence will ever be felt by his students, and the best wishes of a host of friends go with him. The same edition of The San Saba Star, June 21, 1917 also reported J. C. Sirmons preaching at the Methodist Episcopal church of Cherokee, TX. Cherokee Locals – Professor John C. Sirmons preached at the Methodist Episcopal Church, Cherokee, TX, June 21, 1917. Prof. J. C. Sirmons preached Sunday morning at the M. E. church. Sunday night was Children’s Day exercises at the M. E. church. The little folks had been ably trained by their teachers, Misses Jessie Mae Ottinger, Stella Gay, and Ada Sims, and each one carried out their part well. Cherokee Junior College entered it seventh year with President John C. Sirmons, of Berrien County, GA, at the helm, and his wife, Estella Moore Sirmons on the faculty. The September 17, 1918 issue of the San Saba Star entreated everyone to support the institution under its new president. August 30, 1917, President John C. Sirmons and his wife Estella Moore Sirmans, of Berrien County, GA, led Cherokee Junior College, Cherokee, TX into the new academic year. Lest you forget that September 4 next Tuesday, is the opening day of the seventh year of the C. J. C. we kindly remind you, Let everyone prepare to help and make this a better year than any. We realize that conditions are unfavorable but let us not forget that now, in the adolesence period, is the time to train the boys and girls’ minds in the right way, and nowhere else can this be done so well as in the denominational schools, where under the supervision of Christian instructors they will be carefully trained. The faculty, with Prof. J. C. Sirmons as president, will be a strong one. One special feature is that Mrs. J. C. Sirmons will be the Expression teacher. She is most excellent in her line of work. Prof. W. Jeff Wilcox still continues as head of the music department: Let every one do his or her part for a better C. J. C.
May 16, 1918 San Saba Star reported that the family of John C. Sirmons had returned to Cherokee, TX and the Cherokee Junior College. Last Monday April the 6th the Senior Class of the C.J.C. had their Class Day exercises. About ten-thirty the students assembled in the Auditorium. The Seniors had charge of the Chapel exercises, and from that they succeeded to the Class Day Program. The class history, class prophecy, class will were read, then the class Giftorian presented the gifts, and the class musicians played the class song and the class sang it. After the program the Seniors went up to Grays Mill pond to spend the afternoon. They were accompanied by Mrs. Sirmons and small son, Derrel. A happy time was spent on the creek kodaking, and in various other ways. The day will long be remembered in the annals of the C. J. C. by the following Seniors: Missess Flay Farmsworth, Rosalie Bragg, Sallie May Burke, Melba Wilcox, Marie Barber, Julia Hart, Lydia Keese, Jessie Allison, and Messrs. Tom Nelson Gay, and Ralph Thompson. From personal notices in The San Saba Star it appears that by January 1919, John C. Sirmons departed Cherokee Junior College and was working in Fort Worth, although Estella and the children remained in Cherokee, TX. The January 16, 1919 edition of the San Saba Star, San Saba, TX reported that John C. Sirmans was commuting between Forth Worth and Cherokee, TX where his family was still residing. 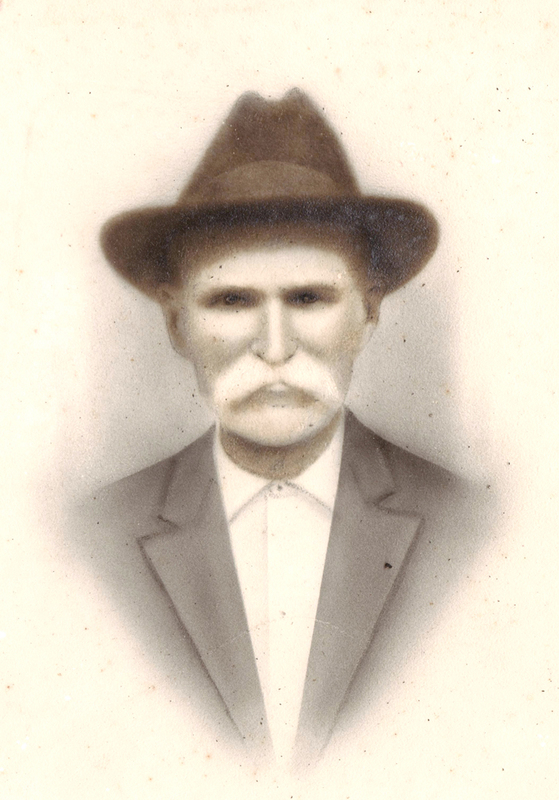 The 1920 Census found John C. Sirmons, his wife Sarah Estella Moore Sirmons, daughter Mary Helen and son John Derrell back in San Saba County, TX renting a home near Cherokee. The occupation of both John and Estella was recorded as teaching public school. 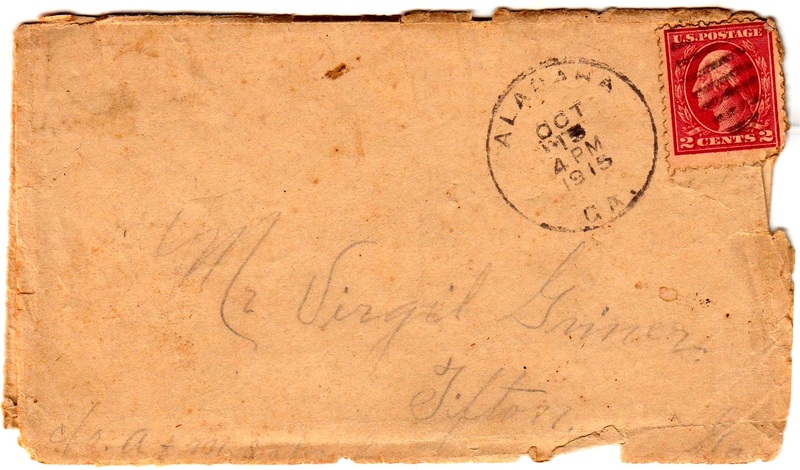 It appears that shortly thereafter, John C. Sirmons and his family returned to Berrien County, GA. He was there in time to join Ray City citizens who fought the creation of Lanier County, GA. In 1922, John C. Sirmons was himself back in school. He returned to Emory University, Atlanta, GA where he registered in the Graduate School. For his graduate studies he was awarded a Master of Arts in Education. In 1924, John C. Sirmons was serving as principal of Tifton High School, Tifton, GA. In the summer of 1924 he attended the UGA summer school for county superintendents and in 1925 he was Superintendent of Tift County schools. In 1927 he joined the faculty of what was then the South Georgia Agricultural and Mechanical College at Tifton, GA. The College was formerly the Second District A&M School, a “college preparatory boarding school” for students from 14-21 years of age, which had offered two and four-year programs with a study of agriculture for boys and a study of home economics for girls. In 1927, the school was transitioning from a high school to college curriculum. Beginning in the fall of 1928 only college-level classes were offered. In 1929, the name of the institution was changed to the Georgia State College for Men (GSCM), and in 1933 it was renamed Abraham Baldwin Agricultural College. Second District Agricultural College, Tifton,GA, now known as Abraham Baldwin Agricultural College. John Continued to work at the college through 1931. In 1928 he was president of the Tifton Kiwanis Club and in 1930 he a member of the “Flying Squadron,” a group of four Kiwanian singers (H. D. Webb, J. C. Sirmons, Otis Woodard, and A. F. Darden) in the club. The 1930 Census shows John, Estella and son Derrell residing in Tifton, Georgia. John’s occupation was “college professor; Estella was working as a public school teacher They were renting a home at 810 Love Avenue. Their next door neighbor was Orion Mitchell, head football coach at the college. In 1931, Mitchell would lead the fledgling GSCM team to a 14-13 victory over the University of Miami. 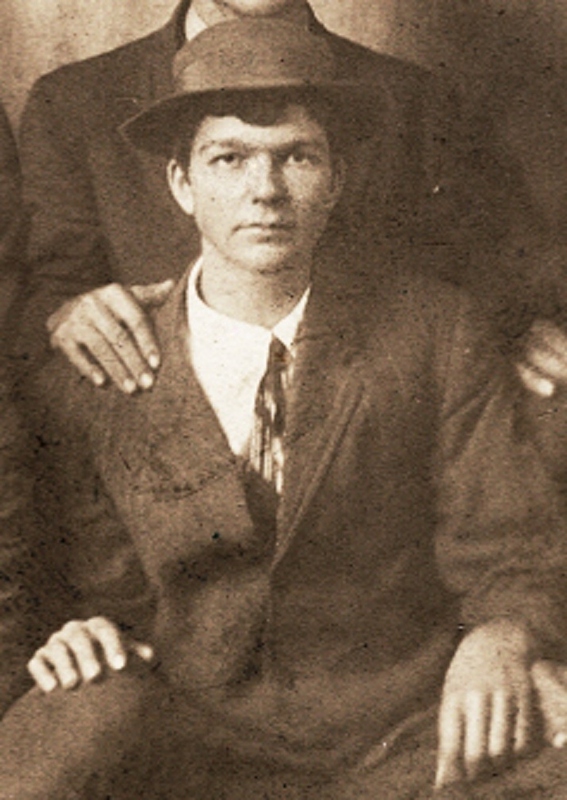 By 1932 John C. Sirmons accepted a position at North Georgia College, Dahlonega, GA. He served as Registrar and was also a faculty member in Education. North Georgia College administration building, 1934. John C. Sirmons, native of Berrien County, GA, served as Registrar and Dean of North Georgia College for over twenty years. A number of young men and women of Berrien County attended North Georgia College during his time of service, including Jimmy Grissett, Jamie Connell, Joe Donald Clements, Wilson Connell, Marie Sirmans, John Franklin Miller, Walter Buddie Dickson, James Donald Rowan, Donald Willis, William Henry Mathis,John David Luke, Eddie Brogdon, George W. Chism, Jack Rutherford, Donald Keefe, William Luke, W.D. Alexander, Bill Roquemore, and Donald Keefe. Portrait of John C. Sirmons, 1934, North Georgia College. John C. Sirmons, Dean of Men and Professor of Education, 1938, North Georgia College. John C. Sirmons, 1939, North Georgia College. John C. Sirmons, 1940, North Georgia College. In 1940 John C. Sirmons was admitted to Duke University as a graduate student pursuing an advanced degree. Duke University was some 470 miles from Dahlonega, but Sirmons continued in his position as Dean at NGC; hemust have been enrolled in a correspondence program or low residency program that did not require regular attendance in Durham, NC. About 1943 Estella Sirmons joined the NGC faculty. She had been serving as the principal of the school at Suches, GA.
Estella Moore Sirmons, 1943, Associate Professor of English, North Georgia College. John C. Sirmons, 1951, Dean Emeritus, North Georgia College. Sirmons was a native of Berrien County, GA.
John C. Sirmons was ill in 1953 and unable to attend events at the college. He died August 13, 1953. He was buried at Mount Hope Cemetery, Dahlonega, GA.
A man has passed away at North Georgia College which leaves a lonely place on our campus. Dean. J. C. Sirmons has gone to his heavenly inheritance. Christianity is a triumphant thing. Sometimes when the heart is lifted on the wings of song we feel it. Under the spell of a great speech or sermon we feel it again. And the truth sweeps over us in great tides when we look upon a life like that of Cy Sirmons. Christianity IS a triumphant thing! I was on the way to the college when the news came to me of Dean Sirmons’ passing. I am at that stage in my own journey when I cannot afford to lose friends. Sometimes when we look over our shoulder and see good friends passing away into the shadows beside the road, then we feel a loneliness as we go on under the burden of grief. Sometimes you think life is hard, even evil. Then, if you have the sort of faith that made Dean Sirmons’ life shine in the stars, you realize that they have not simply dropped into the shadows, but have passed from the light – through the night – into the light as God promised. This assurance strengthens you, and girded with this great truth, you lengthen your step, fix your hand a little more firmly in the hand of GOd, and keep working toward your own bend in the road. I have seen many alumni and friends of North Georgia College both here and in other parts of the State. Wherever I go, people ask, “Do you know Cy Sirmons? How is Dean Sirmons now?” School teachers have remarked upon his great sense of humor. Some have said, “He helped me with a smile and a good story when I felt awfully blue.” Rich, poor, girl, boy, man, and woman found in him a sympathetic friend. Cy Sirmons was a man whose halo was unstained and who well found it easy to exchange the royal robes of earthly servant for whatever spotless garment God provides for those who pass under the shining arch. The world is a better place because J. C. Sirmons lived on the campus of North Georgia College for a score of years. Grave of John C. Sirmons, Mount Hope Cemetery, Dahlonega, GA.
At North Georgia College an annex to Lewis Hall was added in 1966. The dorm was called Sirmon’s hall after John Sirmons, Registrar and Dean from 1932 until 1949. This dorm served the campus until 2011. Sankey Booth was a teacher and an educational leader of south Georgia. In Berrien County, he served as the head of the Ray City School and as member of the county Board of Education. The June 12, 1925 edition of the Clinch County News noted that Professor Booth would not return to the Ray City School, but would instead move to the Morven School in Brooks County. Sankey Booth had taught previously at the Morven School. The Educational Survey of Brooks County Georgia, 1917 noted Sankey Booth as Principal of the Morven School; his wife was one of the teachers. 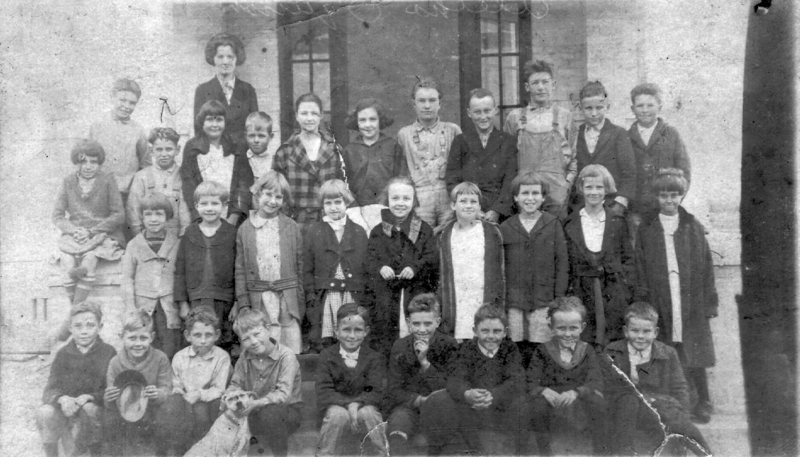 Morven School, 1917. Sankey Booth, Principal. Perhaps conditions at the Morven School had improved since his previous tenure there; one can only hope. In 1917, the building had been described as: a dilapidated building with four poorly lighted classrooms, and deemed “entirely inadequate to demands of the school.” The classrooms had poor blackboards, but were equipped with patented school desks – as opposed to hand-made furnishings found in many country schools. The school had a set of maps, two globes, a reference dictionary, and the school library boasted 50 volumes. The school grounds were bare and unimproved. The four teachers were Sankey Booth, Mamie Shaw Booth, M. S. Hale, and Mrs. Roy Phillips. The school ran a nine month academic calendar with ten grades. The school had a pig club and a canning club, precursor to the 4-H club. Canning Club members were Mary Clower, Anne Holland, Mildred Jardon, Gladys Jordan, May Edmondson, Leona Parrish, Nellie Pond, Mary Edmondson, Florine Scruggs, Mary Hall, Kathleen Ousley, Nona Ousley, and Brooks Phillips. “An interesting feature of the meeting was a demonstration of the results of a new method of teaching. Cecil Booth, aged 7 years, son of Sankey Booth, superintendent of the school of Atkinson county, spelled rapidly and correctly a long list of words which many adults find difficult. Mr. Booth told the school officers that the child’s ability to spell words that stump the average person is the result of a simple and direct method. By 1922, Sankey Booth had perfected his teaching method and sought to present it to the faculty of the University of Georgia. Method Assists Pupils in Becoming High School Students Several Years Earlier. Athens, Ga., July 22. -(Special. )- A phonetic method of teaching which he declares is entirely different from anything ever offered in Georgia or the south, has been worked out and introduced by Sankey Booth, superintendent or the schools at Willacoochee, Georgia. According to his statements and the statements of other, who have seen this method used, it is one of the most remarkable systems ever offered. Actual experiments have been made and children as young as five and six years have had thousands of words added to their vocabulary, making it possible for them to read newspapers at that age. Mr. Booth is in attendance at the University of Georgia summer school, and before the end of the session, it is his plan to bring the system before the faculty for their approval. He has been working on the system for six years and states he is confident he has had sufficient time to prove its values. “I don’t believe in bald-headed men prescribing a hair restorer,” said Mr. Booth, “but I have made a thorough test with my own son, who at the age of five and a half years out-spelled a high school class, and who, at the age of ten years, is in the tenth grade, high school, reading Latin easily and working algebra and geometry readily, and who knows more grammar than many teachers holding a high school license. Mr. Mizelle, president of the Sparks Collegiate institute, gave this boy and examination some time ago, and said he would make an excellent first grade teacher. He tells of another child, the little daughter of J. O. White, of Pearson, Ga., who was passed to the seventh grade at the age of eight, and at the end of her third year in school. The teachers in Mr. Booth’s section are using the method with a great degree of success, reports say. Many of his friends are urging him, so he says, to have his discovery protected by copyright, but so far he has not, because of his expressed desire for no other reward than the consciousness that he has been of help to his fellow teachers. No details in connection wit the system were disclosed by Mr. Booth in his interview with newspapermen, other than to say that it was a phonetic method. 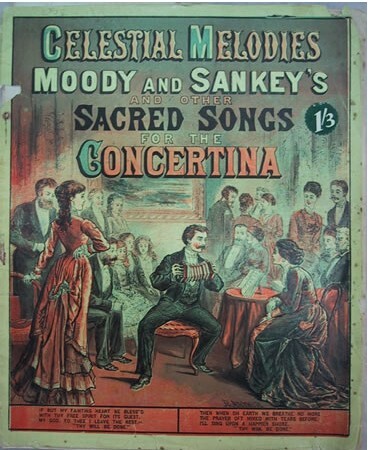 Moody and Sankey was the evangelical duo of Ira David Sankey and Dwight Lyman Moody. Starting after their meeting in June 1871, the team wrote Christian songs and traveled throughout the United States and the United Kingdom calling people to God through their use of song, with Moody preaching and Sankey singing. Together they published books of Christian hymns. Sankey Booth and his twin brother, Moody Booth, were born May 5, 1877. The twins were named after the famed evangelist duo of the 1870s, Dwight Lyman Moody and Ira David Sankey. The Booth twins were the youngest sons of the Reverend Irwin R. Booth, among the 23 children born to the Methodist minister. Their father was born in South Carolina days before the declaration of the War of 1812. The Reverend Booth became a pioneer of wiregrass Georgia , settling in Ware county with his parents, wife and children about 1846. After the death of his wife in 1867, Irwin R. Booth moved to Clinch county. There, in 1868 he married the twin’s mother-to-be, Margaret Rives Knowles. Margaret Rives Knowles was the daughter of William Rives and the widow of confederate soldier J.H.J. Knowles. 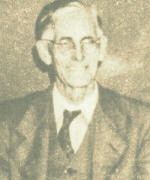 Irwin Booth was a well known minister of Wiregrass Georgia and was responsible for the establishment of at least three Methodist churches. He died January 18, 1896. Sankey’s brother, Moody Booth, followed in the footsteps of his father and became a Methodist minister; he served as pastor at several churches in the South Georgia Conference. By 1900, Sankey Booth had established his lifelong career as an educator. The Census of 1900 shows him occupied as a teacher in the Bickley District of Ware County. He was boarding in the household of John Carter at the time of enumeration. By 1900, Sankey Booth was already becoming a leader among Wiregrass educators. In 1901 he delivered an address at the close of the summer term the Ware county schools. In 1902 he served as vice president of the teacher’s monthly institute that was meeting monthly at Waycross, GA.
Waycross, Ga., April 2. – (Special.) – The public school teachers of Ware county have organized the teachers’ monthly institute. They are to meet at Waycross on the fourth Saturday in each month. County School Commissioner T. R. Bennett has been elected president, Sanky Booth vice president, W. O. Brewer secretary, and Miss Bertie Morrison treasurer. The teachers are discussing the matter of establishing a library for the use of the teachers of the county, and this matter will have attention at the next meeting of the institute. In 1906, Sankey Booth married Mamie Shaw, of Berrien County. Like Sankey, she was a school teacher. She was born June 4, 1884, a daughter of James Harrison Shaw and Christie Ann Mcauley. Mamie had been orphaned around the age of two, both of her parents dying in 1886. 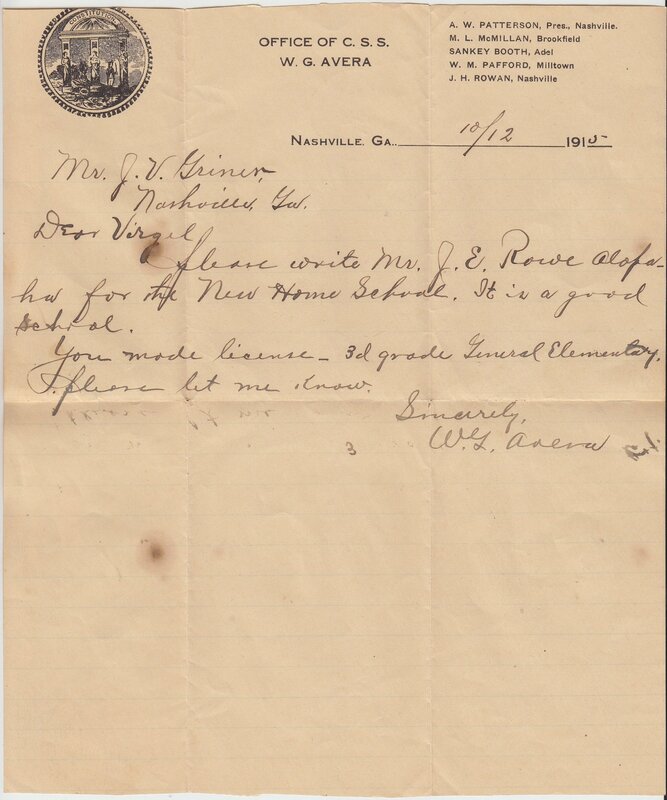 Mamie was apparently raised by her half-brother, Alfred Shaw, who was a hardware merchant in Ware County. At least in the Census of 1900 she was living in his household. Another half-brother, Martin Albion Shaw, was a teacher before becoming a pastor in the Methodist Episcopal Church. Also in the Alfred Shaw household in 1910 was the teacher Marcus S. Patten. Perhaps it was these educators who influenced Mamie Shaw to become a teacher herself. Marriage Certificate of Sankey Booth and Mamie Shaw. The Census of 1910 found Sankey Booth and his young family in Waresboro, Ware County, GA where he and Mamie were both teaching school. Shortly after that, the Booths moved to Nashville, GA and Sankey served on the Berrien County School Board during 1914 and 1915. William Green Avera, subject of previous posts ( Georgia Teacher For Fifty Years Only Went To School 335 Days, Professor Avera Lived Near Ray City, GA ), was County School Superintendent during that period. 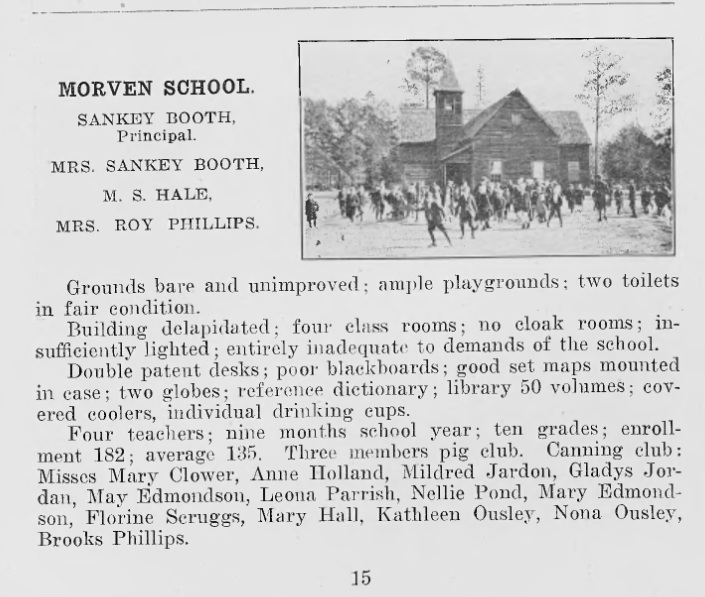 As noted above, in 1917 the Booths were both teaching in Morven, GA where Sankey was principal of the Morven School. By 1918, the Booths were living in Pearson, Coffee County, GA, where Sankey was teaching, as usual, when he registered for the draft for World War I. 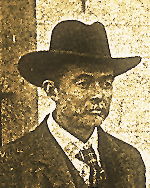 At 41, he was of medium height and build, with gray eyes and black hair. In December of 1918, Sankey Booth was elected to become the first school superintendent of the newly created Atkinson County. Mamie also continued to teach. The Booths were living in a rented home on Austin Street, in Pearson, GA. Sankey Booth remained the superintendent of Schools for Atkinson county at least through 1920. Some time in the early 1920s, Sankey Booth came to be head of the new school at Ray City, GA. The construction of the brick school building at Ray City was begun in 1920. It appears, though, that Professor Thomas did not return for 1924, and Sankey Booth served in his stead. Sankey Booth’s tenure at Ray City was also to be short term. Although the school at Ray City was a new multi-classroom, well-illuminated brick building – perhaps the most modern Berrien county school of the time – Sankey Booth left the Ray City School in 1925 to return to the school at Morven, GA.
Around that time, Sankey and Mamie Booth moved to Hahira, GA. Census records show they were both teaching in Hahira in 1930. The Booths remained in Hahira for the rest of their lives . Sankey Booth died October 29, 1965 in Lowndes County, GA.
HAHIRA – Sankey Booth, 88 of Hahira, a pioneer school teacher and administrator in south Georgia, died here Friday night after a long illness. 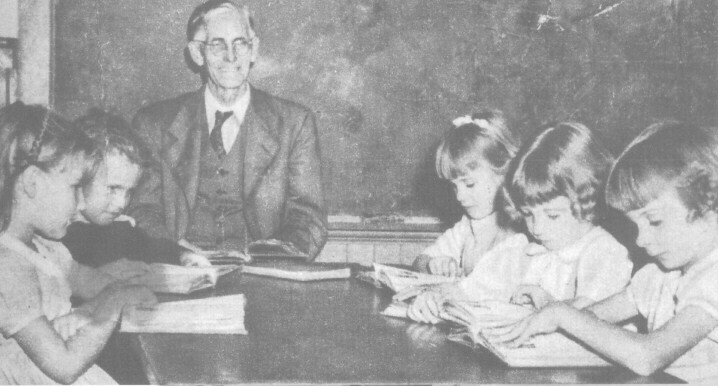 Among his educational activities, Mr. Booth gained fame with his methods of teaching young children to read. At one time he was a reading consultant for the State Department of Education. 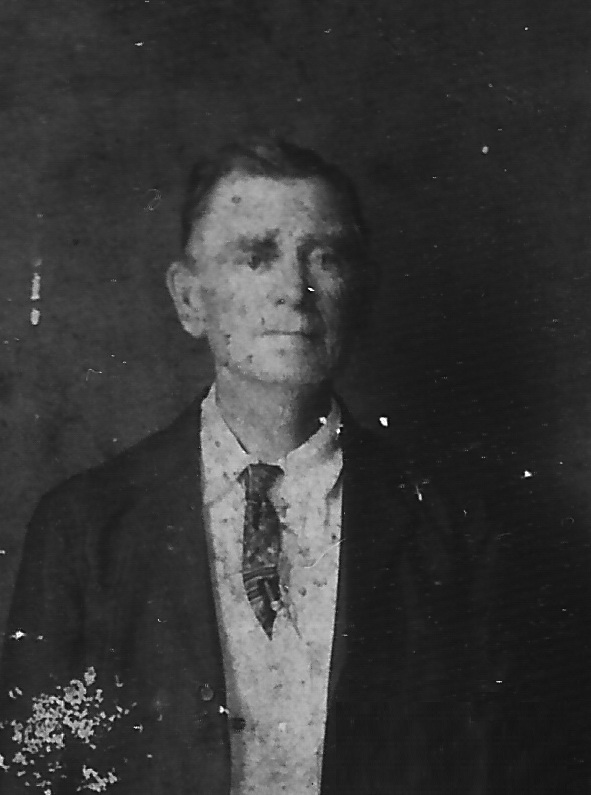 A native of Clinch County, Mr. Booth had lived in Hahira for about 40 years. He had been principal of the Cecil school in Cook County and was the first school superintendent of the Atkinson County system. Mr. Booth was a member and lay leader of the Hahira Methodist Church. Survivors include a son, Cecil Booth, of Peachtree City, Ga; a daughter, Mrs. Horace Overstreet of Hahira; a sister, Mrs. Clayton Harris of Wildwood, Fla.; three grandchildren, and six great-grandchildren. Funeral services were held Sunday at 3:00 p. m. in the Adel Methodist Church. The Rev. Larry King of the Hahira Methodist Church and the Rev. James A. Agee of the Nashville Methodist Church conducted the rites. Burial was in the Adel Cemetery.